Making good progress. Like to see what's going on with others' projects. What I like to do is lightly spray the foamed areas with spray adhesive. Not much, just a dusting so the next part will stick, which is lining the area with "visqueen" (plastic sheeting). 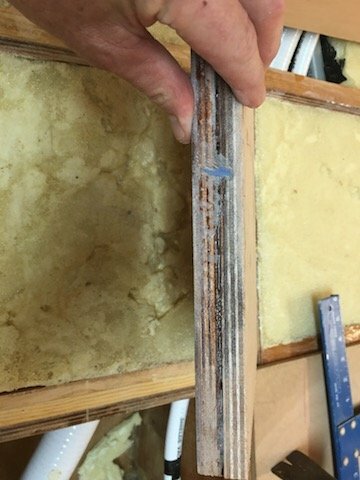 I use spacers in the waterways and limbers and drape the plastic into the stickum, pulling out wrinkles as I go. With the area "buttered up" with plastic sheeting, I pour the foam and let it cure. 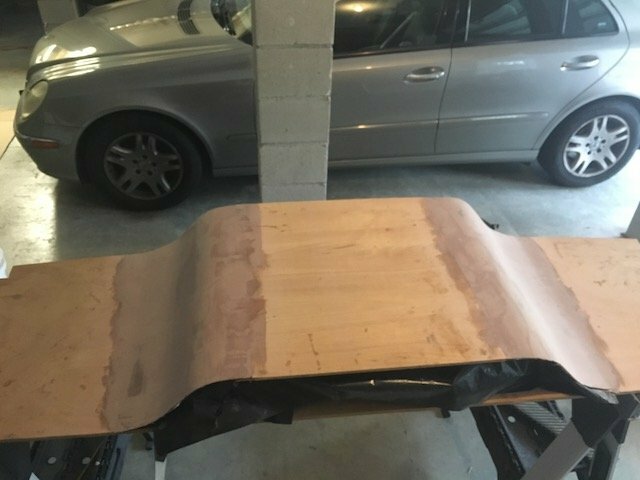 Then I use a squirt bottle of lacquer thinner and release the plastic sheeting, with it's oozed out foam blob, from the spaces. 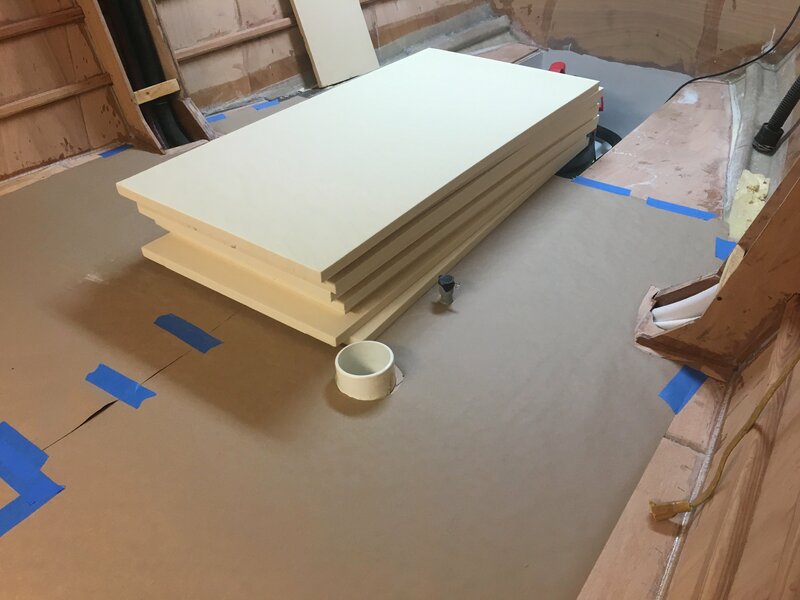 The spray adhesive comes off easily and the plastic protected foam just lifts out as a block. 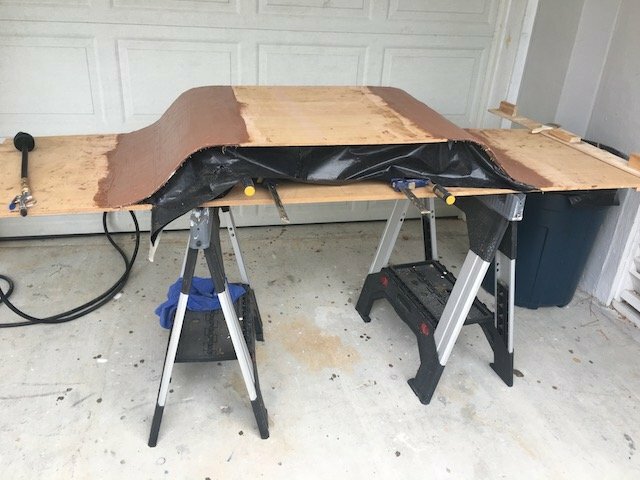 Peel off the sheeting and you have a form fit foam block, that can be shaped with more water ways or simply dropped or glued back in position. Often I don't glue the blocks back in, simply hiding them under the sole (dry) once it's bonded down. 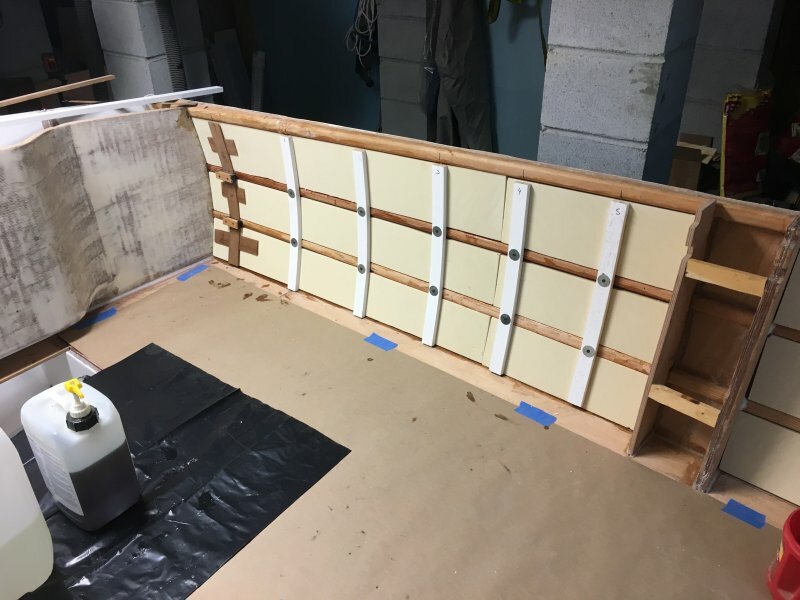 I do this to limit the amount of foam in intimate contact with the wood and provided channels for moisture to fall down to the lowest portions of the bilge to be drained and pumped out. 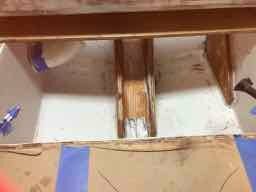 Additionally, if the foam is to remain enclosed or entombed forever, I like it to be sealed (neat epoxy) then glued or placed in it's hole/compartment. 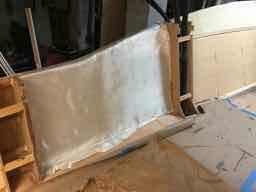 I've dug out way too much soaked foam over the years to think it's not going to absorb much and the intimate contact thing has me dreaming about future rot issues. Hmmm. I never would of thought of that technique nor have i seen is described. Definitely sounds better than my method in regards to possible future rot issues. 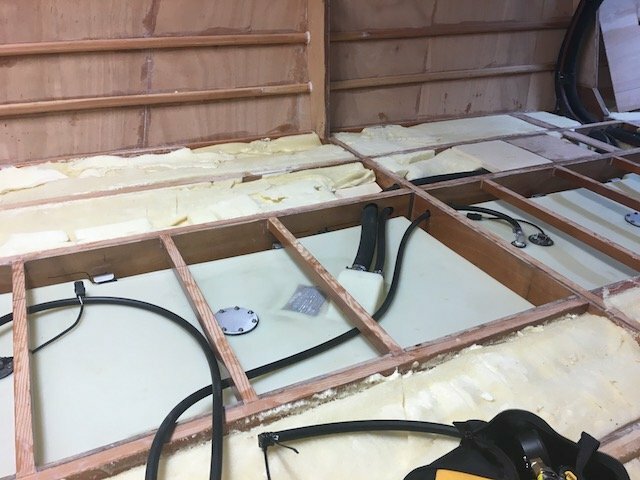 What a great way to install foam, PAR. 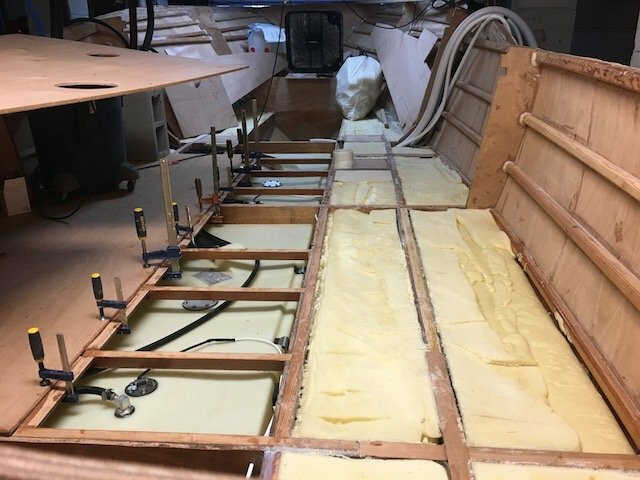 I repaired powerboats for many years and also experienced how poured in, or shot in foam would rot floors and stringers, and hold water. Boston Whaler type boats can soak up so much water that they can't even get on plane anymore. They are almost impossible to repair because of the way they are built. 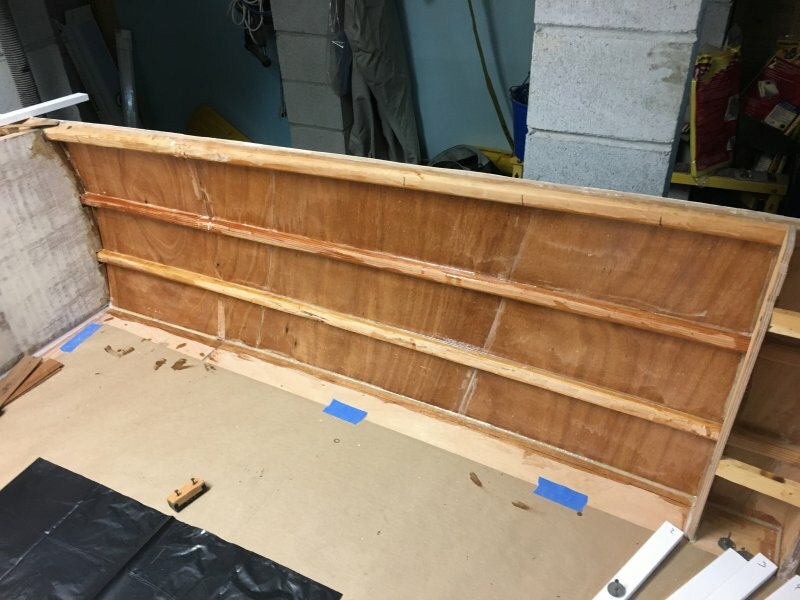 On more "traditionally" built boats, my solution was to cut and shape new flotation from solid polyurethane blocks that I purchased from my supplier. Yes, that's a great idea! it's worth it's own thread and some photos. Wish I had known about it or researched it better before pouring foam. 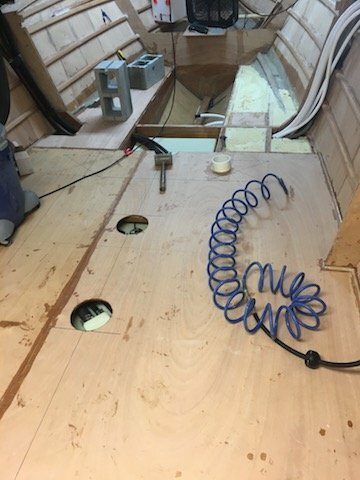 No going back now but i'm sure that there is adequate space for drainage and some standing bilge water under the foam. That's the same as me Chick, just to many repairs over the years. 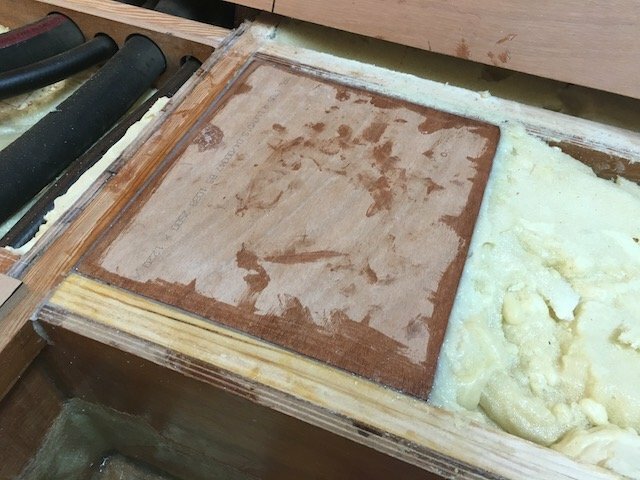 The bottom and sides of these foam "blocks" get channels carved into them, once the plastic sheeting is peeled off. 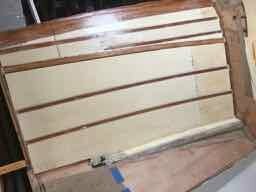 Centerline channels, also athwartship ones to let moisture drain down the flanks into the centerline channel, etc. 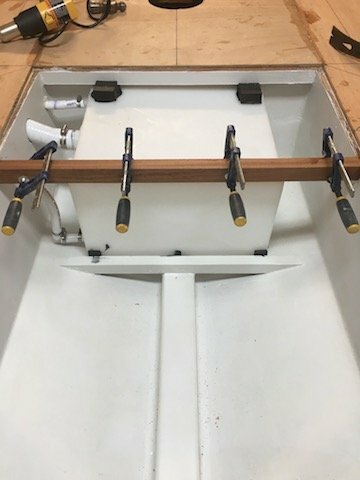 are what I focus on, then seal it up with epoxy. Cutting glued together blocks work will too, though a lot more fitting and shaving compaired to a form fitting pour in process, probably just as effective I'd imagine. In these enclosed spaces, condensation will form, it's unavoidable, so the moisture has to go somewhere. My method just provides a path to the pump(s), while sealing up the foam. 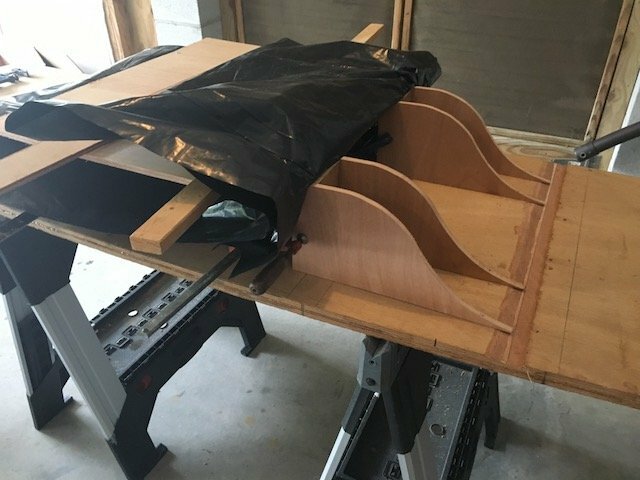 My project inches along and for any of you who were following, my apology for the weak performance of keeping up this page. It is a hobby, after all! 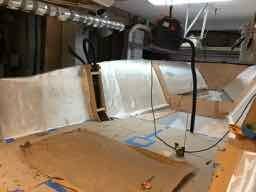 The floatation foam is in, I've installed the ply flooring and designed an aft bulkhead to allow installation of a live well/fishbox in the transom. Photos to follow. 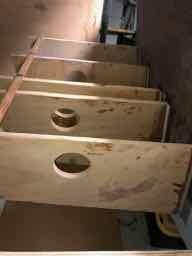 Deck is 9mm ply, will be covered with 18 oz glass, then teak. 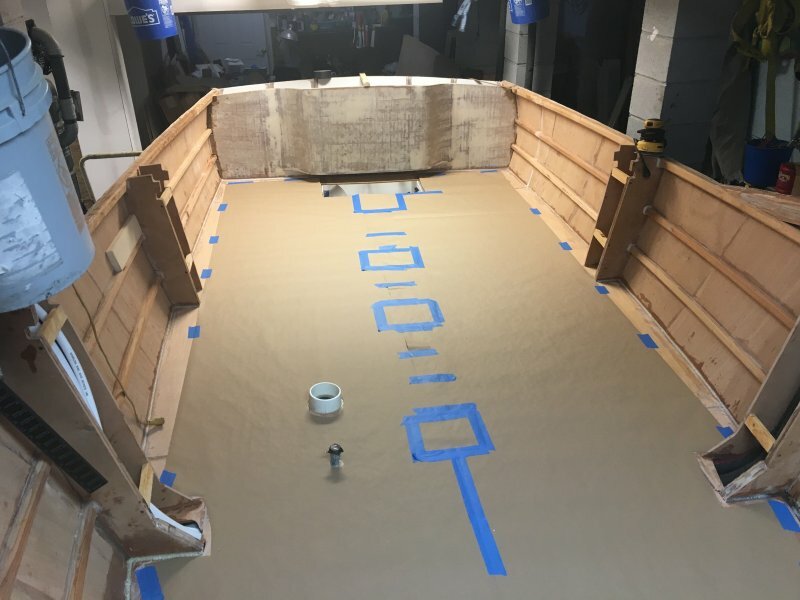 The ply deck was painted on its undersurface with epoxy and glued to the stringers, foam and chine with thickened epoxy. It was fastened with raptor staples. If you haven't used them, they are fast and much cheaper than bronze screws. They are a little quirky, though. 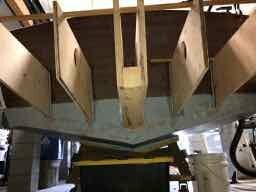 Bilge compartments painted and water tank installed. 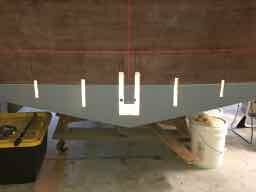 I wanted space in the transom for storage and a live well/fishbox so I modified the aft bulkhead that I had previously removed. Nice progress, I was wondering what had happened with this project. I'm working along, slow but steady. 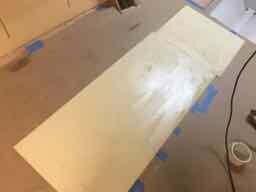 After foaming in all spaces between the side stringers, a second layer of foam, #6 divinycell, 1/8" was laminated to cover the side stringers and was flush with the intermediate sheer. 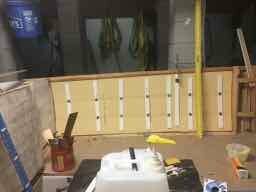 10 oz glass was next applied. 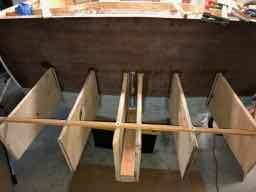 I need to touch up a few areas and the fair the inside before installing the carlin stringers. I was about to the point of ordering an Armstrong bracket. 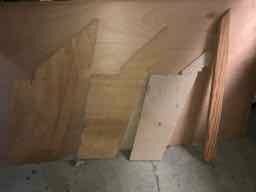 Graham was kind enough to send me plans for a built on bracket, adapted from the 256. This has delayed me by a couple of months but I think will be worth it. No corrosion, stronger and better looking, too. 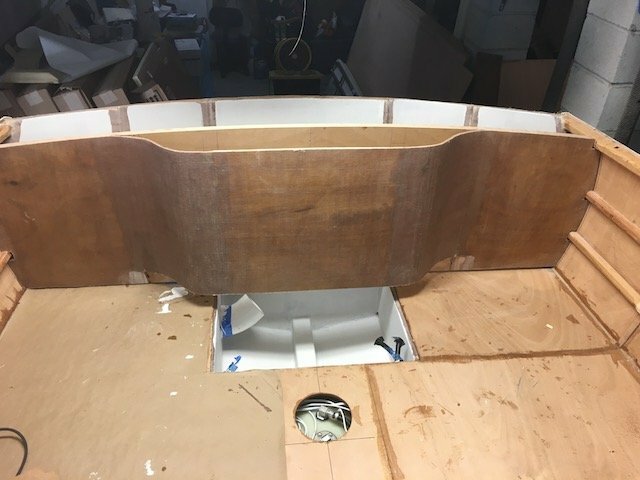 It required cutting out slots in the transom to extend the keel and stringers. 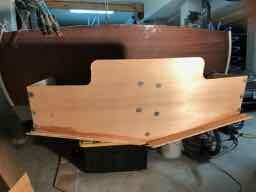 These are now installed, the bracket is planked and I'm now laminating the outboard bracket. You will absolutely love the bracket. I'm glad you added that. Armstrong brackets are great but it is not if they will corrode but how soon. Thanks for the nice comments. 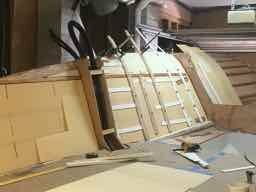 I'm going to try to finish laminating the transom this weekend and then get on to the glassing. I send more photos as things progress.